Growers are always on the look-out for that silver bullet that boosts yields and offers bang-up return-on-investment. While such products don’t come along often, manufacturers are always coming up with nutrient additives and enhancers — with a variety of activity — to help make fertilizers work better. Retailers who find and offer the best can differentiate themselves. Here is a sampling of what is going on this field, as well as advice on presenting options to customers. Established products are often getting a new spin, so growers will want to hear when trusted tools are improved or repositioned. N-Serve and Instinct, the long-standing nitrogen stabilizers from Dow AgroSciences, inhibit the nitrification process by controlling Nitrosomonas bacteria to keep nitrogen in the ammonium form longer for crops to use. Instinct can be applied with UAN, urea and liquid manure; N-Serve can be applied with anhydrous ammonia. This spring, a new formulation of Instinct — Instinct HL (high-load) — will be available. “The new formulation will provide the same benefits with a 1/3 less use rate per acre,” says Kenny Johnson, Nitrogen Stabilizers Product Manager. And one feature retailers in particular will like: the product will also be easier to impregnate with urea. 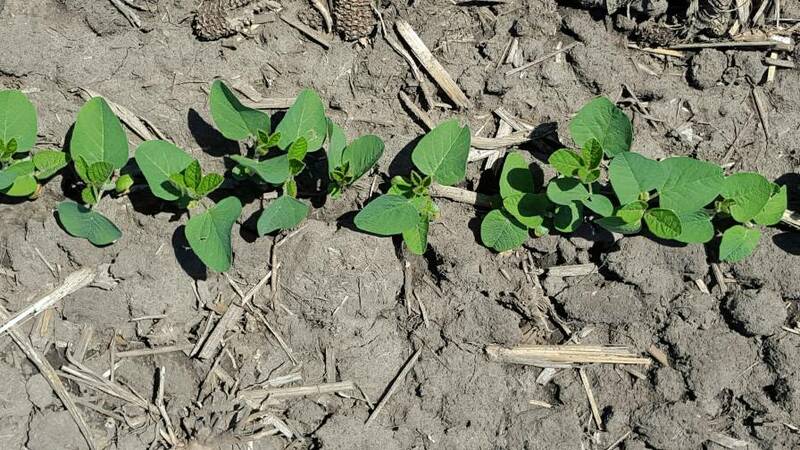 Both Instinct and N-Serve work below the soil’s surface to extend nitrogen availability to buy six to eight weeks of protection from rains and leaching. The active ingredient in both offerings increases soil nitrogen retention by 28% and provide a 7% bushel yield increase, according to meta-analysis, says Johnson. The NutriSphere-N product line from Verdesian Life Sciences has been around for just over a decade. It interacts with soil chemistry, making cation exchanges that stabilize nitrogen against loss. Darin Lickfeldt, Senior Technical Development Manager, notes that of the three forms of nitrogen loss — volatilization, leaching and denitrification — NutriSphere-N inhibits all of them. “That’s one of the real differentiating things that our retailers can use to get the word out about nitrogen loss,” he says. Another part of Verdesian’s message is that for every $1 spent on the company’s additives, growers see at least a $3-$4 return. In fact, in over 1,000 trials with NutriSphere-N and AVAIL (which makes more phosphorus available), the company reports a 90% positive response for improving yield. “Anything we can do to prolong the stability of nitrogen, we win,” says Kent Woodall, Director of Marketing at Rosen’s Inc. The company’s new dual mode product Cipher contains both its proprietary DCD (a below ground nitrogen stabilizer) and NBPT (a urease inhibitor). Rosen’s is also introducing Factor X2, a new formulation that offers the highest concentration of above ground NBPT on the market. It inhibits urease enzymes, minimizing volatility losses. The product is especially designed for high speed blending systems. One approach retailers can take is to present fertilizer products together, to promote 4R practices. Helena has done this by tying its Hydra-Hume fertilizer additive with its Nucleus line of row starters and the CoRoN line of foliar-applied controlled release nitrogen. “It’s something simple that both the grower and our retailers can relate to — and we’ve got many years of data to back up this program approach to help maximize crop yields,” says Gary Schmunk, Brand Manager at Helena. Adding Hydra-Hume to fertilizer blends improves uptake of nitrogen, phosphorus and potassium, as well as iron, calcium and manganese. It helps hold fertilizer in the root zone, making it more available to crops. Verdesian has added new formulations of its nutrient assimilator, Take Off, the only product of its kind on the market. Take Off gives the plant a chemical signal to take up more nitrogen from the soil. It convinces a crop that it’s “hungry,” so it needs to eat. The new formulations bring new options so Take Off can be applied as a foliar treatment or soil-applied, and as a seed, in-furrow or sidedress treatment. It can be used in a variety of crops, including corn, soybeans, wheat, cotton and rice. 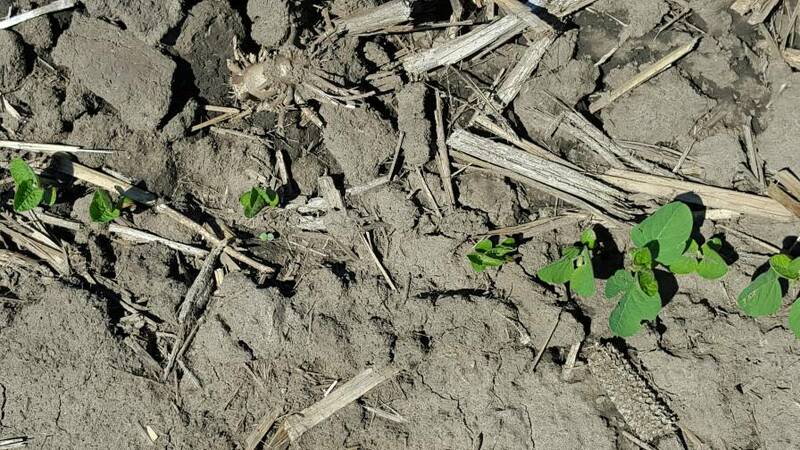 Lickfeldt also reports that Take Off has been added to Verdesian’s soybean inoculant offering. The new combination product, released commercially last year, is called Preside CL. It delivers four million colony forming units (cfu’s) of rhizobia per seed to create more viable nodules in diverse soil, plus the Take Off component stimulates that plant feeding trigger. Another product that offers enhanced efficiency is Nitro Plus, a liquid form of nitrogen from Stoller USA that contains amine nitrogen, calcium, and magnesium. The calcium acts as a stabilizer and makes the nitrogen readily available and easy for the plant to use, without it having to go through different forms of breakdown, says John Fisher, Agronomic Technical Advisor. Stoller has been formulating Nitro Plus with different concentrations of N. It’s designed to be used either through drip irrigation (in vegetable production) or foliar applied. “At a certain percentage, you have to be concerned about phytotoxicity, but a solution of 2% to 3% usually gives a nice response — and even smaller amounts can give a response depending on what growers want to do,” Fisher adds. For corn, Nitro Plus can be used alone or in conjunction with UAN for sidedressing. Because it increases the efficiency of photosynthesis, growers can see responses in cloudy weather and in low light intensity. Manufacturers are finding fertilizer assists in all kinds of places. Brandt Chemical Co.’s new N-Boost 5 is formulated with 5% nitrogen and a patented fermentation extract that is derived from sugarcane. The extract helps boost nutrient uptake and utilization, which in turn, improves plant health, quality and yield. In fact, N-Boost 5 was used in grower Randy Dowdy’s world record soybean yield plot in Brooks County, GA, in 2016. (His three-acre field produced 171.8 bushels per acre in an area where 140 bushels per acre is more the norm). Dowdy had worked with Brandt for three years designing a fertility program, and he especially wanted to address in-season nutrient demands. Dowdy foliar-applied N-Boost 5 two times, then did tissue tests showing the nutrient bump. He appreciated the return-on-investment (ROI) and found using the product was cheaper than buying nitrogen. To improve phosphorus availability, Rosen’s offers P Max, which contains a polymer that protects phosphate so that any cations in the soil will tie to the polymer instead of the P. It prevents the phosphate from being so quickly fixed, so the plant can extract it, Woodall explains. P Max has shown an average 7 bushels per acre yield increase in corn. Woodall calculates that can mean a 2:1 or 3:1 ROI. The science of nutrient enhancers isn’t always simple. Mike Molnar, Sales Representative with Stoller, believes retailers need to understand plant physiology — a place manufacturers can help — so they can then appreciate the value of additives and enhancers. “Then they take that message to their growers,” Molnar says. Growers are required Fertilizer, Soil Inoculants as well as Pesticides For gaining best results. All three are always perform vital role in agriculture, Garden, etc. There is an extensive variety of accessible inoculants and soil revisions that can be connected to change soil properties and to enhance plant development. For instance, manure can enhance soil structure, in this way expanding plant-accessible water-holding limit and bringing down mass thickness. Compost alteration likewise can cultivate useful microorganisms. Green fertilizers added to soil from developing spread harvests between money yields can be powerful in including or looking after richness, smothering weeds, and additionally facilitating gainful microorganisms.